SB 100 commits California to reaching 100% zero-carbon electricity by 2045. In broadening the technologies that qualify from “renewables” to “zero-carbon,” it opens California up to a larger array of energy resources that includes more options — like existing hydropower. And it requires the state agencies in charge of implementation to regularly report back on progress and potential issues, so we can stay ahead of serious problems. Add your name to the chorus of Californians calling for action! I am writing today in strong support of California's SB 100, which puts our state on a clear path to 100 percent clean energy. Cost competitive and scalable renewable energy has taken off over the past 10 to 20 years. The hungry solar market in California for example, has resulted in exponential growth of utility-scale solar over the last decade. 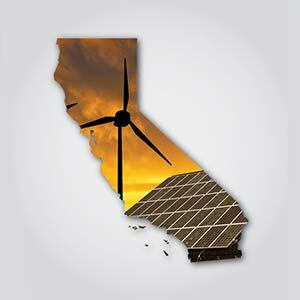 The renewable portfolio standard currently creates over 236,000 solar jobs alone throughout the Golden State with even more jobs fostered by other renewable energy industries like wind. Recently, thanks to a steady stream of policy actions at the state and local level (along with the dramatic drop in costs of renewables), California powered 40 percent of its midday energy demand with solar power. You have the opportunity to ensure the Golden State continues to foster clean energy investment with its trademark innovation by raising the amount of electricity powered by renewables and zero-carbon resources to a full 100 percent. Additionally, this ambitious target will help ensure California reaches its climate goals. It is time for our state to join the more than 25 U.S. cities, 12 countries, and at least 89 companies that have all recognized the unstoppable potential clean energy has to create jobs, strengthen and protect the economy, and fight climate change -- and have committed to transition to 100 percent renewable energy. Please work with your colleagues to ensure SB 100 is passed and signed into law. Our families and communities are counting on your leadership.